“The secrecy surrounding the proposed Trans-Pacific Partnership Agreement (TPPA) has been given a resounding thumbs down in a Consumerlink poll conducted in mid-November”, according to Professor Jane Kelsey, a critic of the TPPA who commissioned the poll. Almost two out of three New Zealanders think the contents of the latest and biggest free trade agreement should be made public before the negotiations are completed and any deal is signed. 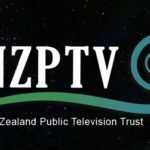 Of those that have an opinion, four times as many favour advance publication of the text that New Zealand is negotiating with ten other countries towards a Trans Pacific Partnership agreement. The poll conducted by Consumer Link shows 65% of New Zealanders think the Government should make the contents of the agreement public before the negotiations are completed and the agreement is signed, 14% do not mind if this does not happen, and 21% have no opinion. Dr Kelsey called on the negotiators to recognise their secretive approach to these negotiations lacks democratic legitimacy when they meet for another round of talks behind closed doors at Sky City on Monday, and release the text and supporting documents so people can read, analyse and debate what is being proposed by our elected leaders. “Contrary to what negotiators claim, this is not unprecedented. Even the much criticised World Trade Organization is a beacon of transparency compared to the TPPA”. Calls for release of the draft text have repeatedly been rejected. 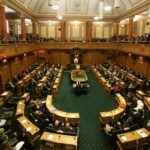 The Green parties of Canada, Australia and New Zealand have labelled the TPPA “fundamentally undemocratic and untransparent.” Winston Peters has called for negotiations to be put on hold so New Zealanders can debate the implications for sovereignty, and the Mana Party has called for release of all details. Significantly, a remit adopted overwhelmingly at last month’s Labour Party conference made support for the TPP conditional on “full public consultation including regular public releases of drafts of the text of the agreement”. The US Congress has been even more vocal. In just the past four months, President Obama has been bombarded with letters from Democrats and Republicans whose support he would need to pass a TPPA. Back in March, Senator Ron Wyden tabled a legislative amendment seeking disclosure of US negotiating positions and proposals on intellectual property or those proposals relating to the Internet be made available, unless release of the documents would pose a national security threat. This is highly significant. Wyden is a conservative, pro-free trade leader who has supported all previous US free trade deals and chairs the Senate Subcommittee on International Trade, Customs and GlobalCompetitiveness. 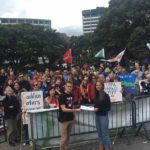 “The poll shows New Zealanders want the TPPA to come out of the shadows and face a solid dose of democratic scrutiny. Our government and the other ten TPPA countries should listen”, concluded Professor Kelsey.